The earliest section of the Giddings-Burnham House at 43 Argilla Road in Ipswich was built in the mid-17th Century by carpenter George Giddings who immigrated from Norfolk, England. The earliest documentation for this property was the deed of sale between George Giddings and his brother-in-law Thomas Burnham in 1667. The original part of the house with its rough-hewn beams, low ceiling, hearth, and mud-daub and wattlewalls has been well-preserved and has several unique building techniques similar to those used in Norfolk England during that period. This photo from the “250th Celebration of the Incorporation of the Town of Ipswich” identifies this as the “Winthrop-Burnham house.” Locals believed this was John Winthrop’s first homestead. The Giddings-Burnham house was built as a double cell, central chimney structure. An early ell was raised to two stories and in the 1930s was remodelled to the present lean-to with full dormer. In the left-hand room, 18 feet deep by 15 1/2 feet wide, the longitudinal summer beam has quarter-round chamfers, flat collars and lamb’s tongue stops. The right-hand room has identical features. The summer beams in the Giddings-Burnham House are wider across the bottom than they are high, an early English construction method. Floor joists evolved from this style in the early 17th Century to being installed with the taller side up. This suggests that the summer beams in the Burnham – Giddings house were reused. The house frame was filled with “wattle and daub,” the old English method of daubing a sticky material consisting of wet soil, clay, sand, and straw onto (wattle) wooden strips woven into the framework. The overhang at the gable end is formed with molded end girts which is further decorated with shadow-molded sheathing and applied dentils above the projecting girt. The supporting summer beams are laid flat rather than the more common and stronger system of having the wide side of the beam upright. An older reused 17th century door was found in the Giddings-Burnham House and is now in the collections of the Society for the Preservation of New England Antiquities. The house was added to the National Historic Register in 1990. View Macris. 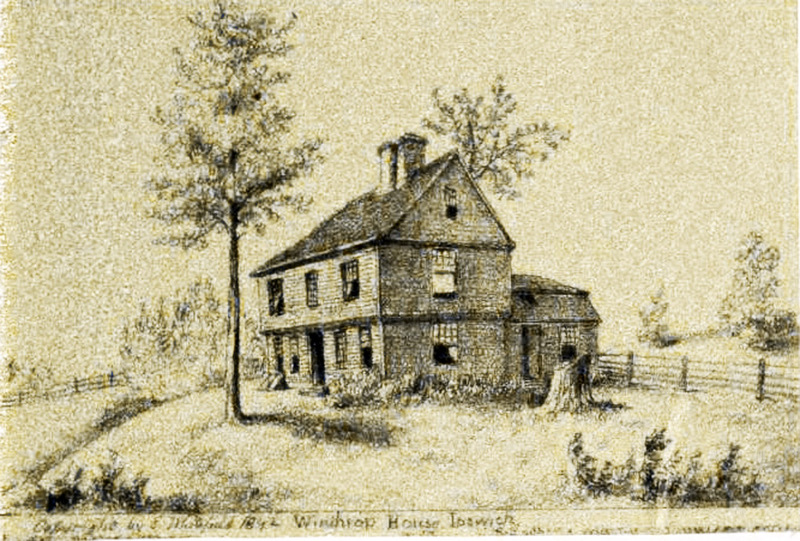 In his 1892 booklet “Homes of our Forefathers,” Edwin Whitefield reiterated the common belief at that time that the house was built by John Winthrop Jr., and was purchased by the Burnham family when he moved to Connecticut. David McLaren Hort, Report, George Giddings House, 1978 for Mr. and Mrs. Norton Sloan. 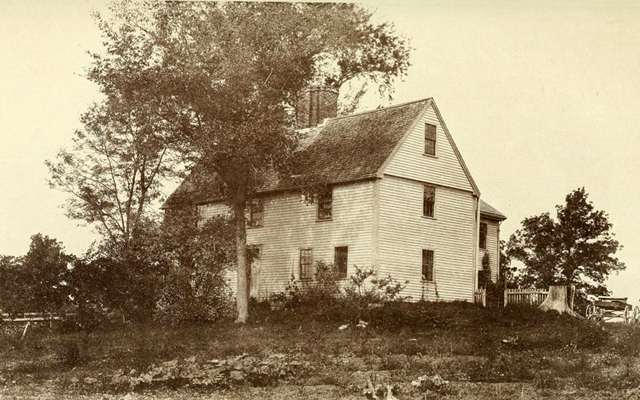 Cummings, Massachusetts and Its First Period Houses. 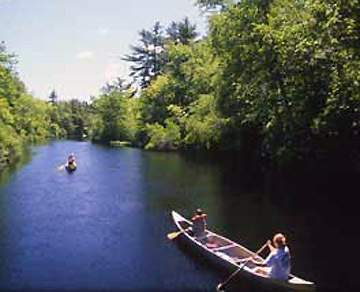 Publication of the Colonial Society in Massachusetts 51:148-149.